Structural phase transitions or physical phenomena such as ferromagnetism or polarity arising from possible distortions and symmetry, can be analyzed effectively and rapidly via space groups, matrix representations of operators and group theory. Starting from the present symmetries in a system, possible interactions can be simplified to a great extent. By investigating the familarity between structures, new structures that hasn't been observed before can be predicted. In my project within the Bilbao Crystallography Server, while developing software to automize the group theory procedures, I'm also using these very principles and procedures, to derive a method for the so-called "Barnighausen Trees" in which, possible intermediate and product structures evolved from a highly symmetryzed are predicted and classified. Thanks to the various databases contained within our server, we have a very extended area of investigation. 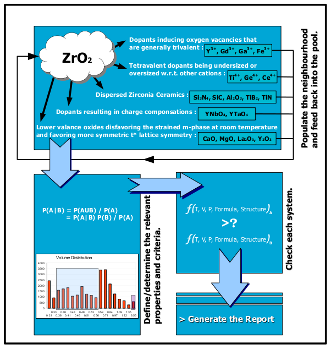 Scheme of the atomic displacements method for pseudosymmetry detection. For a long time, scientific method consisted of theory and experiment. With the rise of the computers, an intermediate method, namely, simulation came into life. We're now at a point where the abundance of the data produced by these three methods has bestowed us the ability to employ a new tool: the Informatics. By analyzing the data about a specific topic and spotting the similarities and the patterns, candidate materials that possess the sought properties can be predicted and designed. 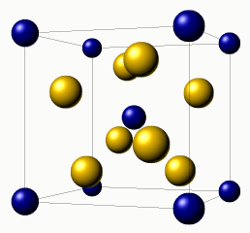 Another example was the discovery of previously unknown solid state phases of gold-silicon and gold-germanium systems. These two systems possess a situation known as "eutecticity" where they form a liquid phase that has lower melting point than its constituent elements' pure states. Proposing "if we don't have a solid phase, then we'll set out from the liquidus state! 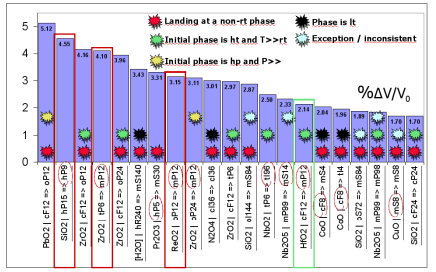 ", via ab-initio molecular dynamics method, we calculated the average coordination number distribution and checked for structures similar to this distribution in the database (we being, by the way, the "Dutch-French-Swiss Consortium" consisting of Dr. Marcel Sluiter, myself, Dr. Pierre Villars, Dr. Alain Pasturel and Dr. Noel Jakse). By replacing the atoms of the obtained structures with gold and silicon/germanium atoms, we checked the stabilities of these candidate structures via ab-initio calculations, succeeding in finding stable structures for both of the systems! If you're holding a thought such as "with silicon and germanium being almost the same kind of elements, it's not very surprising finding a stable structure for one following the discovery of the other...", let me express my sincere confess that it was also the thing we had in mind at first but after the results of the calculations we were surprised to see that it just wasn't the case (with my deepest respect to the platypus)! 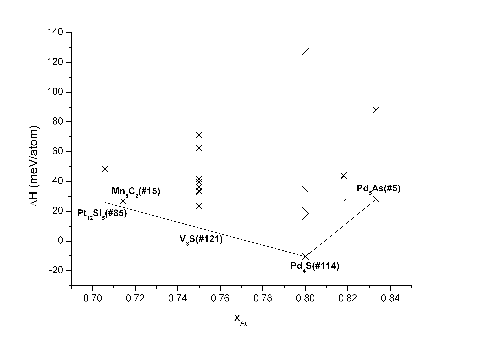 Formation enthalpies of the candidate structures with respect to Au composition in Au-Si system. 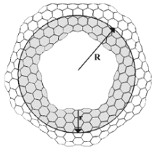 After the nanotubes, we thought, "given that fullerenes (C60, buckyball, soccer ball) exist, why don't we play the game with the same ruler (hybrid bonds, distances, allowed planar geometries, etc.)" 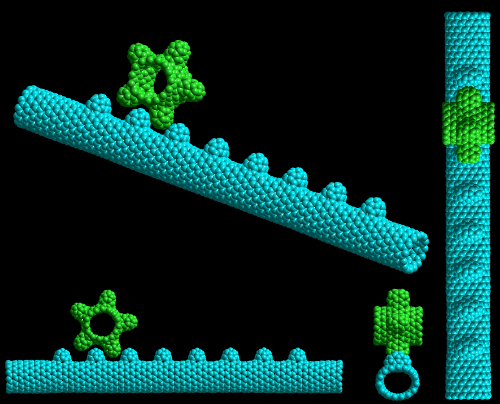 and thus we derived algorithms to produce nanotori, nanogears, nanojunctions (images of various examples can be viewed from my former group's gallery); testing these structures to observe their stabilities, calculating charge densities, interacting them with each other. P.S. : The figures are taken from the publications resulted from the research topics presented above. You can find the list of the publications in my curriculum vitae, as well as in the "Docs" page.